Remember your first iPhone? Remember holding the box for the first time, realizing that the packaging probably cost more than the Nokia you were leaving behind, and thinking “It would be a crime to throw this away in the normal trash, among all those lesser items”? Remember opening that box and finding your new smart phone delicately cradled, the instructions stowed in their own little compartment? Yeah, that’s what opening this catch can felt like. We’re pretty sure the box was built sturdily enough to act as its own catch can for at least a track day or two, and the instructions were actually written in English and copyedited. 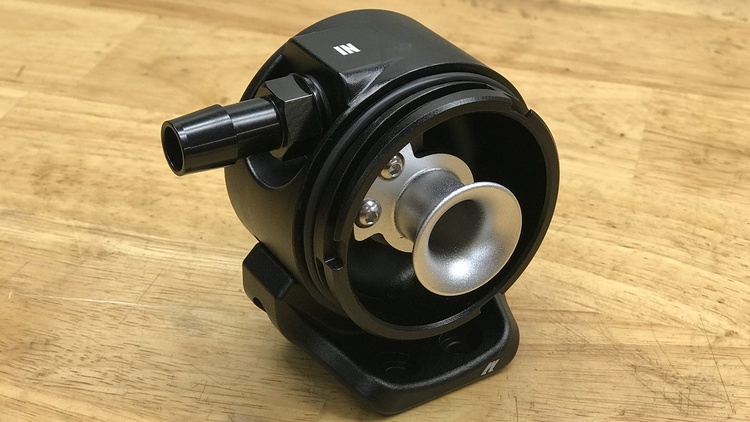 We popped the can itself out of the box and stared, since the thing had a nicer finish than the car we were installing it on. 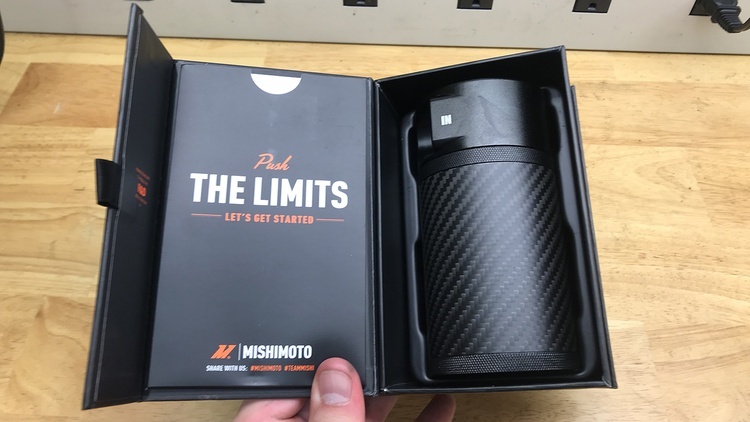 So, what sets this apart from other catch cans, like Mishimoto’s own “Carbon Fiber Oil Catch Can,” which is $284 cheaper? 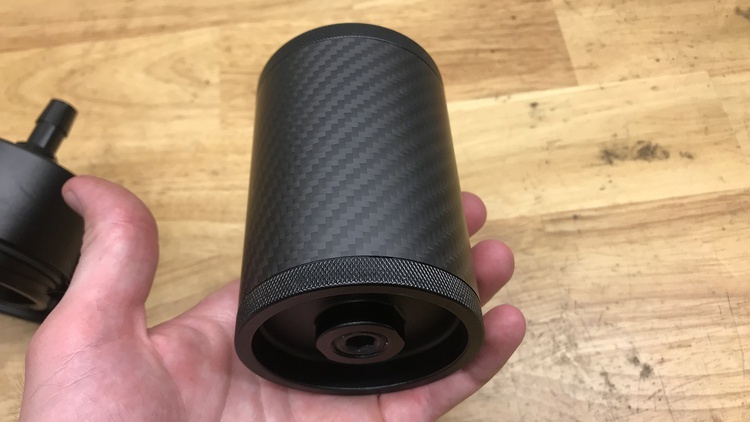 We figured it must be the weight, since the pricier option is actually carbon-fiber, rather than just sporting a carbon-fiber wrap for aesthetics. So we weighed it… and weren’t blown away like we thought we’d be. The $399 catch can clocked in at 1 lb. 3.3 oz. That’s light, yes, but we saw published weights for traditional aluminum catch cans of right around 1.5 lbs., which is only a 5 oz. difference. 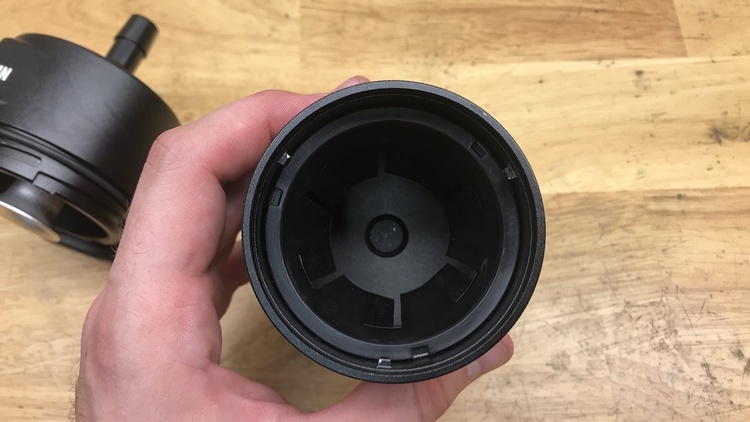 Aside from having a really, really nice fit and finish (and a seemingly well-designed built-in baffle), it wasn’t apparent what the extra money got us. Well, we figured out where it went: The design, packaging, machining and composites work can’t have been cheap. But if you spend an extra $10,000 on nicer leather for your Porsche, does it make it a better Porsche? So… define “work.” This catch can isn’t about solving a problem as cheaply as possible. It’s about solving a problem as efficiently and stylishly as possible. 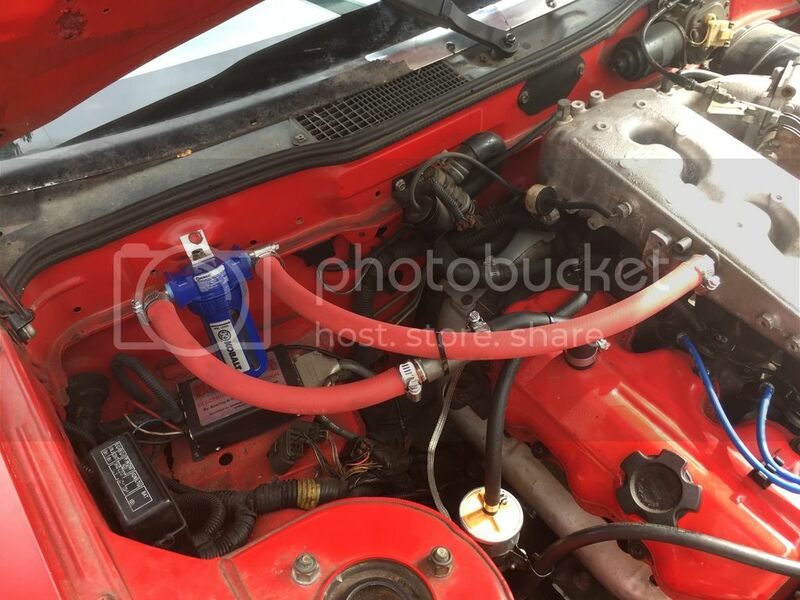 And to be fair, it totally solved our problem: Our 350Z had been blowing oil through the PCV system in hard corners, and that completely stopped once we installed Mishimoto’s catch can. It’s easy to empty, too, unlike the eBay specials we’ve used before. And it’s hard to deny that it looks sweet under the hood. We’re not going to say that a $100 catch can wouldn’t have solved our problem. 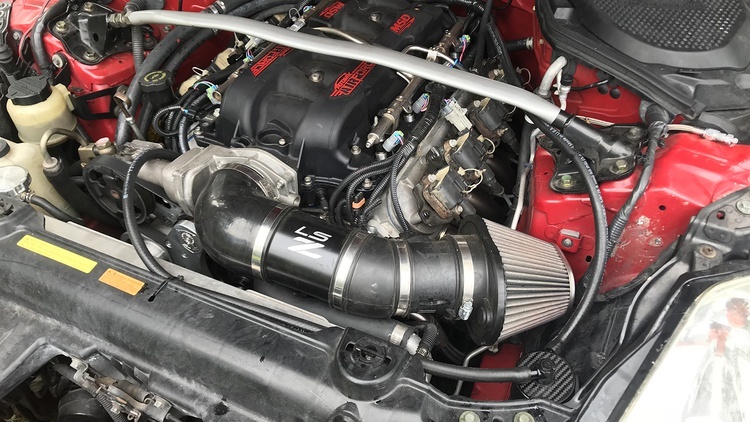 But we are going to say that in a world where you can pick the color of your carburetor and no two Subarus have the same shade of intake plumbing, there’s a place for automotive bling like this. It’s pricey, but at least it works well–better than anything else we’ve used–and looks cool as heck while doing it. In other words, that nice interior on your Porsche doesn’t make it any faster, but it does make it a cooler car. Want one of your own? 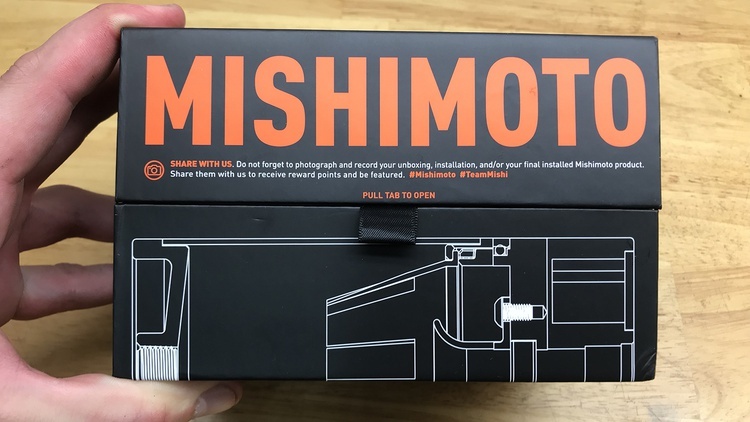 You can find it on Mishimoto's website. Join Free Join our community to easily find more Chevrolet and Nissan articles.